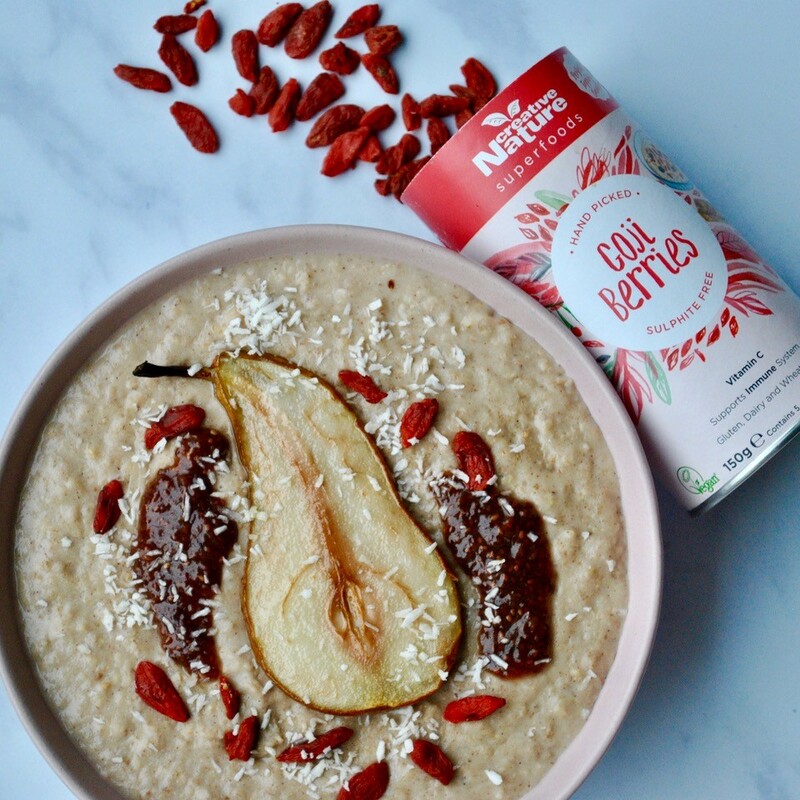 This warming pear and goji porridge is the perfect choice for the transitioning seasons. If you’re looking for something fruity but still pretty filling, then this is the recipe for you! Choose any toppings you like, but we suggest Goji Berries and a variety of fruit, to ensure you get as many vitamins and minerals as possible! Pre-heat the oven to 180 C, slice the pear in half lengthways and roast for 15 minutes. Feel free to add a drop of oil/vanilla/cinnamon for extra flavour. Combine all porridge ingredients in a saucepan and simmer on a low heat for 5-8 mins until desired consistency is reached, adding more water/milk if necessary. Pour into a bowl, add the roasted pear and toppings and serve hot. Thank you to Eli for the recipe!